English/Irish pop/showband formed at the Clarence Bar in Finsbury Park in London in 1966 by Terry Connelly, George Hasson and manager Cliff Warren. 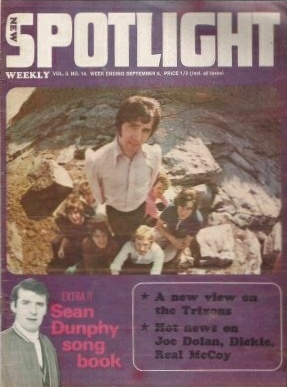 The band worked in Spain for about a year and then moved to Ireland in 1967 where they met with some success and featured regularly in the pages of Spotlight. Their best known member was Eric Wrixon, who was invited to join the band circa 1968. 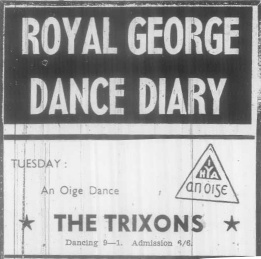 Wrixon was (briefly) a member of an impressive list of bands including Them, The Wheels, The People (pre Eire Apparent) and in 1970 the embryonic Thin Lizzy. Supporting Bill Haley & Comets at the Jetland Ballroom in Limerick on Saturday 1st June 1968. 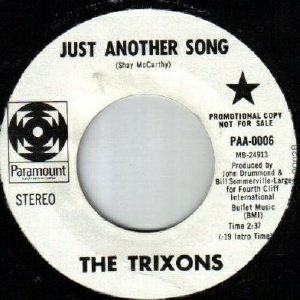 The Trixons released at least five singles between 1967 and 1969. These are not easy to find nowadays. The second is considered their best. 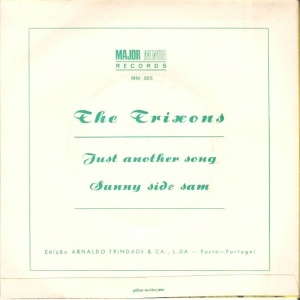 The A-side "Just Another Song" is an excellent pop-sike track, reminiscent of the Beatles. 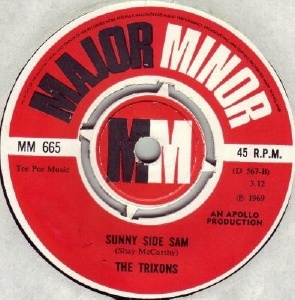 This song and it's Irish B-side were written by guitarist Shay McCarthy. 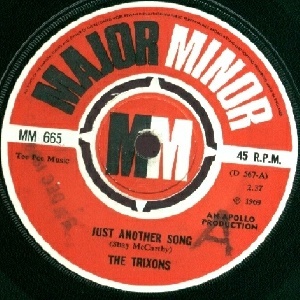 The original Irish release was on Release Records and was credited to Terry & The Trixons (repressings credited to Terry Connolly & The Trixons). 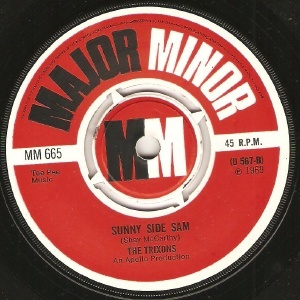 It was picked up by MAM and released across Europe with a different, more bubblegum-ish B-side "Sunny Side Sam" in 1969. This edition was released in the USA by Paramount. 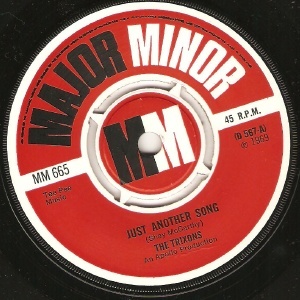 The MAM or Paramount issue of "Just Another Song" is the easiest to find single these days, even if it is quite sought after. It's been comped on "Fading Yellow #9". 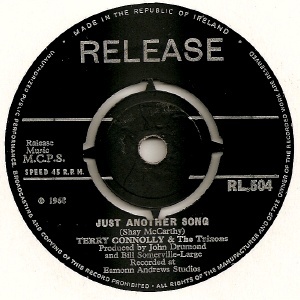 Two further singles were released in Ireland on Release Records in 1969. Both were chart hits. "Cinnamon" entered the Irish charts in May and "Show Me The Way To St. Louis" in August. Most consider these singles lightweight and disposable, though "Show Me The Way To St. Louis" and especially it's B-side "Everything Is Gonna Be Alright" are both superior 60s pop tracks. 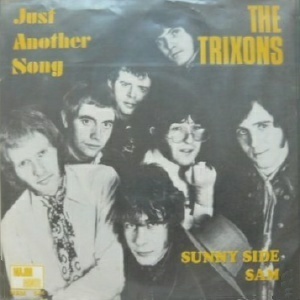 The Trixons appeared on the cover of Spotlight in September 1969 and continued into 1970. 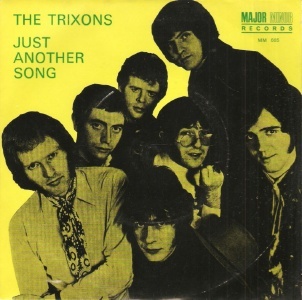 Eric Wrixon left The Trixons in early 1970. His replacement was Ricky Roberts. Jim Malone replaced Patsy McDonald in the final lineup. The band split sometime in the early 1970s. Eric Wrixon teamed up with Eric Bell (ex The Dreams) Phil Lynott and Brian Downey to form Thin Lizzy in early 1970. Wrixon lasted only a few months as the band was forced to slim down to a trio due to financial problems. He left in July 1970 and moved to Sweden. Recorded at Eamonn Andrews Studios, produced by Bill Somerville-Large. 7" - Release Records - RL. 504 - 1968 - no PS? Both sides by Shay McCarthy. Recorded at Eamonn Andrews Studios, produced by John Drummond & Bill Somerville-Large. 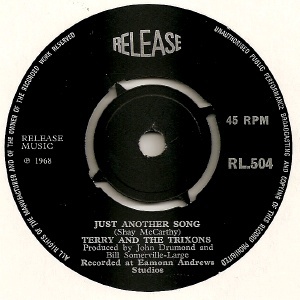 Entered the Irish charts at #17 on November 23rd, 1968 for one week. 7" - Release Records - RL 509 - IRL - May 1969 - no PS? 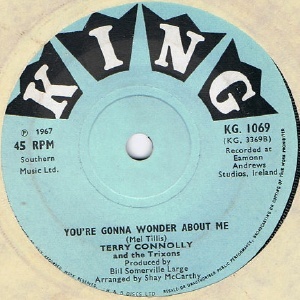 Entered the Irish charts at #13 on May 17th, 1969 for a four week run. 7" - Release Records - RL 520 - IRL - August 1969 - no PS? 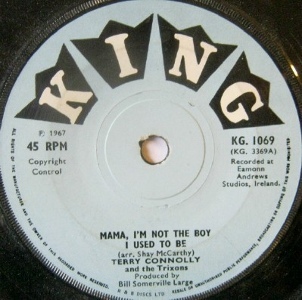 Entered the Irish charts at #19 on August 30th, 1969 for one week.